Apple keeps an ultra tight grip on iOS and is not keen on sharing its proprietary code. Even so, the company's iBoot source code for iOS 9 was recently leaked to the web, and even though Apple's mobile devices now run on iOS 11, it is very likely that some of the same code has been carried over. At least one security researcher called this the biggest leak in iPhone history, which begs the question, how could something like this happen? The answer may have something to do with peer pressure. The iPhone “super cycle” -- a wave of upgrades and new customers that was supposed to wash over Apple Inc. this year with the introduction of its model X -- was pronounced dead on arrival. In Apple’s first earnings report since the launch of the pricey flagship smartphone, the company reported lower-than-expected handset sales from the holiday period. Chief Financial Officer Luca Maestri also forecast a decline in the average selling price of iPhones in the current quarter, suggesting the most-expensive models aren’t as popular. Apple sold less iPhones in the latest quarter but earned a lot more than a year ago, given the price of its iPhone X began at US$1000, according to the company's results for the first fiscal quarter of 2018. The user base of active devices rose to 1.3 billion in January. Apple has confirmed the investigations launched by the US government over slowing down of customer's iPhone devices without being more transparent and says the promised power management features are coming next month. As you may be aware, Apple released last year a new software update that implemented a so-called feature which slowed down the performance of certain iPhone 6 and iPhone 6s devices with degrated batteries under cold weather and when the battery charge was low. The feature was extended to iPhone 7 models as well a year later, and discovered by accident after some users reported slowdowns on their older iPhone devices. Apple wasn't really transparent about this feature, even so Apple CEO Tim Cook said in an interview earlier this month that they said so in the release notes of the respective iOS update. Anyway, when Apple came clean about slowing down older iPhone devices, numerous customers sued the company, and it now looks like even the U.S. government is asking them about the handling of older iPhone batteries and their transparency to customers, as Bloomberg reported earlier this week. Phones: Huawei (Android) Sanctions, Apple Sales Collapse, and the Linux-powered “$10 iPhone” in 2020? CES 2018 was supposed to mark Huawei’s proper entry into the US market, teaming up with major networks to sell phones on contract. Unfortunately, AT&T pulled out of the deal in the days before CES, apparently due to US government pressure. It all made for a rather awkward speech by Huawei’s Richard Yu. Now, Bloomberg reports that fellow US network Verizon has also decided to drop Huawei phones. The publication, citing “people familiar with the matter”, said this was due to pressure from the US government as well. Apple Inc. is slashing planned production of the iPhone X for the three-month period ending March 31, people familiar with the matter say, in a sign of weaker-than-expected demand for the pricey handset. Some of Apple’s iPhones are built with Qualcomm’s modems, which are chips for connecting to cellular networks. The San Diego-based chipmaker said Wednesday that orders from a large “thin modem” customer tailed off at worse-than-typical levels in the quarter. It was widely interpreted that the customer is Apple. Tell me how Apple's doing their users a favour by getting rid of those crufty niche tools that "nobody" uses anyway, and how I can just deal. If this is what you want from your computer vendor, then good for you because by golly you're getting it, good and hard. For me, this MacBook's staying on Sierra and I'll wipe it with Linux or FreeBSD when Sierra doesn't get any more updates. Maybe there will be a nice ARMbook around by then because I definitely won't be buying another Mac. The explosion occurred at Apple's Calle Colón Store in Valencia, Spain. According to a report in Las Provincias, the battery overheated while being worked upon and started emitting smoke, triggering immediate evacuation from the building. An entire floor in the building was engulfed in smoke, one of the first responders at the site reported. The latest Windows 10 upgrade, a.k.a. the Fall Creators Update, did wreak havoc on some computer displays, as noted by several tech sites — the least of which is resolution confusion. A quick search on Richard’s display, the HP 27-inch monitor, says it has a native resolution of 1920×1080, so what happened to it? The likely culprit is that existing hardware — the video card — doesn’t quite work with the update. Some people fixed the issue by downloading updated software (also called drivers) for their Intel, Nvidia, ATI or other graphics card. In some cases, companies, notably Razer, are still working with Microsoft on this. Soon, you'll be able to try Lisa's pioneering operating system for yourself: In 2018, the Computer History Museum will release the code behind the Apple Lisa operating system for free as open source, for anyone to try and tinker with. The news was announced via the LisaList mailing list for Lisa enthusiasts. There was a bit of controversy last week concerning Apple slowing down older devices. It started, as so many things do, with a Reddit post, noting that Apple appeared to be slowing down the processor on phones with older batteries. Geekbench's John Poole then ran some tests confirming this. Apple then confirmed that it was doing so. All three of those links above also present the reason for this -- which is not necessarily a nefarious one -- though that doesn't necessarily mean it's a good explanation either. In short, it was a solution to a problem of older batteries causing "spontaneous" or "unexpected shutdowns." But, of course, slowing down the phone to avoid those kinds of shutdowns still has the impact of reduced performance on older phones -- which ultimately angers users or makes them feel like they need to upgrade before they really do. This wouldn't necessarily be a huge issue if two things were true: (1) it was easy to replace the batteries and (2) Apple was clear and upfront about this -- telling people they could avoid this issue by replacing the battery. Neither of those things are true. Apple makes it quite difficult to replace the batteries (though, not impossible) and only now is explaining this "hack." "The silencing of people’s voices has clearly had an impact in perpetuating sexual harassment," Brad Smith, Microsoft's president and chief legal officer, told The New York Times on Tuesday. In a blog post, Smith also said that the company would support new federal legislation to end the use of arbitration in sexual harassment cases. Want to switch from Apple macOS to Linux because of the 'root' security bug? Give deepin 15.5 a try! Apple's macOS is a great operating system. Not only is it stable and beautifully designed, but it very secure too. Well, usually it is. Unless you live under a rock, you definitely heard about the macOS High Sierra security bug that made the news over the last couple of days. In case you somehow are unaware, the bug essentially made it so anyone could log into any Mac running the latest version of the operating system. Luckily, Apple has already patched the bug, and some people -- like me -- have forgiven the company. Understandably, not everyone will be as forgiving as me. Undoubtedly, there are Mac users that are ready to jump ship as a result of the embarrassing bug. While that is probably an overreaction, if you are set on trying an alternative operating system, you should not go with Windows 10. Instead, you should embrace Linux. 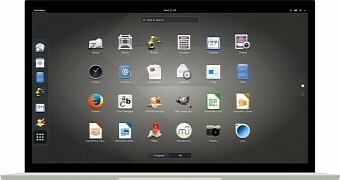 In fact, rather serendipitously, a Linux distribution with a UI reminiscent of macOS gets a new version today. 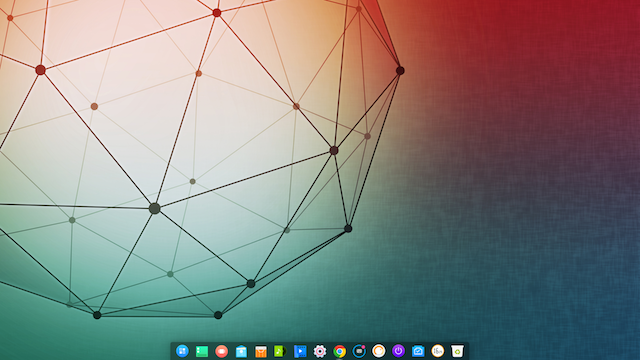 Called "deepin," version 15.5 of the distro is now ready to download. It's been one year and a few days when last researching a status update on "Project Darling" for running macOS/OSX applications on Linux. While the project hasn't been generating too much buzz this year, it still is being developed. Project Darling can be looked at for Linux users as Wine is to Windows programs, Darling is to macOS programs. 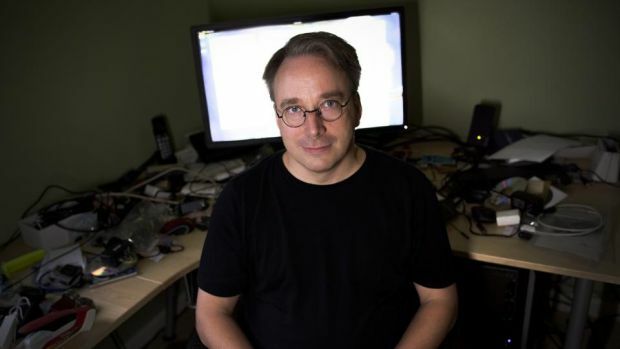 Their goal is to allow unmodified macOS / OS X binary applications/games to run on Linux systems. They've had some success in running basic programs, but not yet any really advanced software. It seems Ashes of the Singularity won't be the only Stardock game coming to Linux, as they've said Star Control: Origins [Official Site, Steam] will also come. To say the RimWorld [Humble Store, Steam, Official Site] Beta is a big update might be a rather big understatement! It's rammed full of new features and content so come take a look.